Located just 15km northwest of the Chilean Capital, Santiago Merino Benitez International Airport is the main gateway for international travellers travelling to Chile. Officially it is the 9th busiest airport in Latin America and also serves as a major gateway to Latin America from Australia and New Zealand. In fact the QANTAS flight from Sydney to Santiago is the world’s longest “over-the-sea” distance flight. The airport is owned by the Chilean government and is a major hub for LATAM Airlines, as well as the headquarters of the Chilean Air Force. Santiago also is the longest non stop destination for many European airlines including Iberia, Alitalia, Air France, British Airways and KLM. The airport is currently being expanded as part of the 2020 master plan. The airport hopes to be able to have capacity for 50 million passengers by 2045. Currently the airport handles around 15 million passengers per year. Fun fact! Santiago airport offers a free Yoga class two times per week at Gate 15 on Tuesdays and Thursday at 6:00am until 7:30am! Is located on the first level in the arrivals hall and English is spoken as well as Spanish and other languages. It is manned 24 hours a day. The best way to get from the airport to your hotel/accommodation is by private transfer, its safest and secure. We recommend booking this in advance from your travel agent or tour operator. Illegal activity is present around the airport and often targets unwary travellers. If you do choose to arrange your transport locally best advice is to contact one of the taxi operators inside the secure arrivals area – they are located just inside the door prior to leaving the terminal. 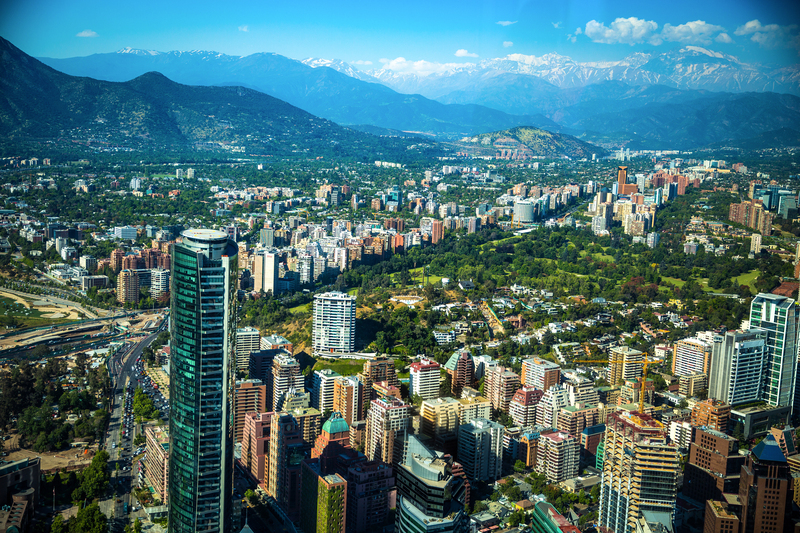 They have licensed drivers and fixed rates to most points in Santiago. Do not ride with unlicensed taxi drivers that solicit fares outside the terminal. The trip into the city is via expressway and relatively quick.. taking between 20 and 40 minutes depending on conditions and time of day. Tur Bus offer a bus service to and from the airport from 6am until Midnight. Tickets cost around US $2 each way. Car hire is available for those wishing to drive around Santiago, however this is not recommended. Traffic can be an issue in Santiago, and there are security risks around the airport for the unwary. There is a Hertz and Budget rent a car counter in the airport terminal, as well as some local options, however be prepared for some very different driving customs! As Santiago is a major hub for travellers (mainly from Oceania) the transfer system is very well organised. Simply follow the signs on arrival to the connections desk to transfer to your next flight. If changing to a domestic flight, you will need to collect your baggage and pass immigration before proceeding to the domestic part of the terminal. Always allow a minimum of around 2 hours if transferring flights in Santiago. 1.5 hours for domestic (some exceptions do apply so check with your agent). By Wikipedia – Santiago International non-stop routes. There is one airport hotel located directly in front of the terminal building. Access is via an internal walkway. 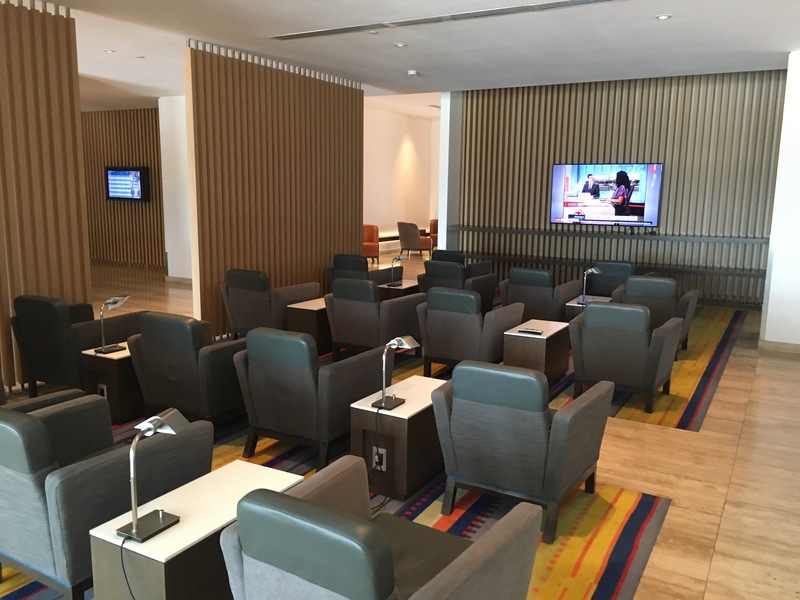 The hotel is operated by Holiday Inn, and is our recommended option at the airport. There are some locally run hotels just outside the airport perimeter however we do not recommend booking these as quality can be an issue. The hotel also offers spa facilities and is available for day use. The hotel can be quite busy, so we do recommend booking in advance where possible. Local Chilean currency is the peso – (Code CLP) and exchange facilities are available both airside and landside at the airport. US dollars are not widely accepted in stores, restaurants and hotels as is the case in other Latin American countries so you will need to change some currency. There is 24 hour medical attention and staff on standby for emergencies. Food in the land side area of the airport is quite limited. There are a few local resturants as well as McDonalds, however not many other options. On the airside of the terminal there is a much wider variety including local chains and the burger joint “Johnny Rockets”. There are several Locations: Arrivals Plaza, the Main Hall, Domestic Terminal and International Terminal. The left luggage (luggage storage) at the Santiago International Airport is located in the domestic arrivals area. It is opened 24 hours. Costs vary so please check locally. Santiago airport has limited duty free options, a small shop upon arrival sells mainly liquor and cigarettes with a small cosmetics section. Upon departure and just past immigration there is a large duty free store which has many options including local wines and pisco as well as asilver products, alpaca as well as Chilean foods and international goods. We often find liquor prices are cheaper in supermarkets in Chile. Please note that Australian and Mexican tourists are required to pay a reciprocity fee before entering Chile. This is payable on arrival and booth can be found manned 24 hours a day near the immigration posts. This is quite heavily signposted. Even if connecting flights (with another carrier on a separate ticket or a domestic transfer) requires you to pay this fee. Chimu Adventures offers tailor-made trips to Chile plus all encompassing trips to South America, we are the Latin America Experts. A taster of Chile's cosmopolitan and historic capital city, its world-renowned wine-making area and the World-Heritage listed seaside city of Valparaiso.